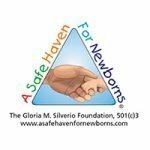 Fla. AMR Agencies Declared Safe Havens for Newborns - A Safe Haven for Newborns | Pregnant Need Help? American Medical Response (AMR), in recognition of National Adoption Month, would like to remind the community that all of its ambulances and EMS stations serve as official safe havens for newborns throughout Miami-Dade County and Florida. 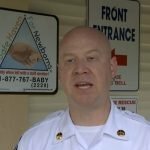 Unharmed infants seven days old or younger will always be received, anonymously, and without fear of legal action, the same as any hospital or 24/7 staffed fire station under Florida’s Safe Haven Law. In partnership with the non-profit A Safe Haven for Newborns, AMR personnel accept newborns at any of their ambulances deployed around the state—no questions asked—and provide transportation to the nearest hospital for medical care. The hospital will contact a participating adoption agency that will arrange for placement of the newborn with a waiting family. Under the state’s Safe Haven Law, parents are allowed to leave their newborns at a fire station, a hospital emergency room or EMS stations without risk of prosecution. AMR has joined Safe Haven’s ongoing campaign to raise awareness of their mission, wrapping hundreds of ambulances in Safe Haven decals and staging them at designated locations across Miami-Dade County and throughout Florida. Since its establishment, A Safe Haven for Newborns has received 290 safely-surrendered newborns across Florida while helping over 5,000 women during their time of need or crisis.